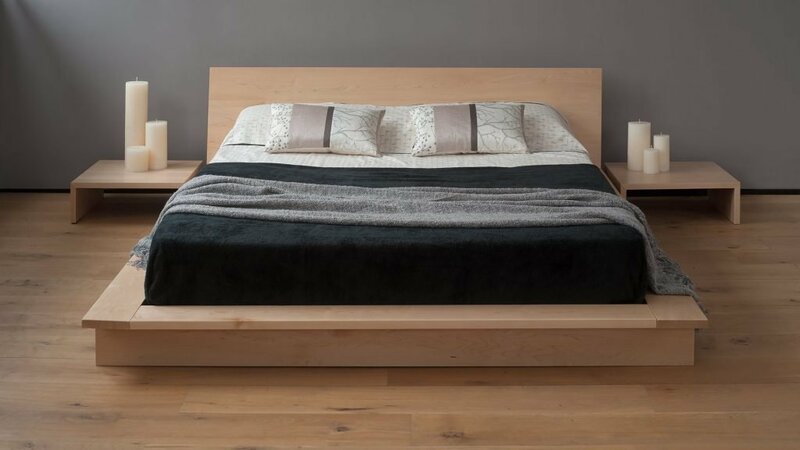 A perfect foundation for modern aesthetics, a platform bed has a frame that doesn’t require a box spring because the bed itself uses slats and supports the mattress. However, in some cases, using the mattress you already have without a box spring can actually void the warranty. That’s a good reason why it’s important to choose the best mattress for platform bed. Generally, any mattress works well on a platform bed, but if you don’t want to use a box spring, you should be sure to choose a mattress that is comfortable and supportive without one. 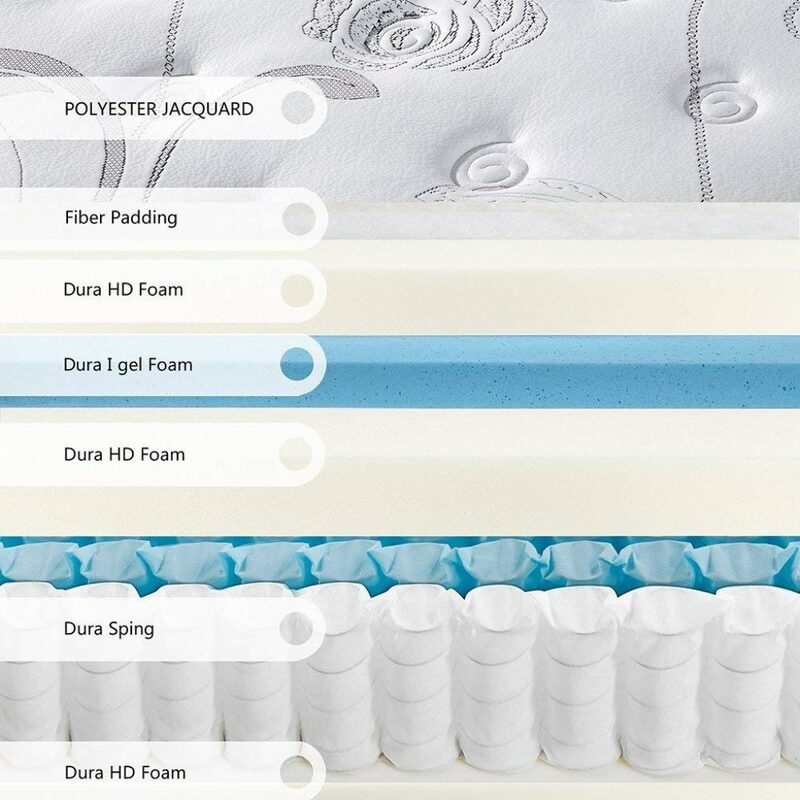 There are so many mattress options available, ranging from layers of different types of foam and latex to hybrids that integrate innersprings. Some even have cooling gel, graphite, or green tea infused in the foam to help regulate temperature and wick away moisture. These mattresses are usually designed to make as many people as possible comfortable so they tend to be medium firmness, though there are some harder and softer options available. Thickness matters, too, as platform beds are designed to sit a little lower to the ground. You may want a tall mattress for some height. 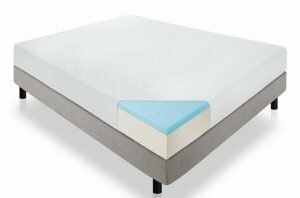 To put together this review, we spent hours digging through comments from both experts and people just like you who use these mattresses every night. First, we put together a table so you can compare the best feature of each mattress side by side. Next, you’ll come to our in-depth reviews of each product followed by a helpful buying guide full of information to help you find the best mattress for platform bed for your home. 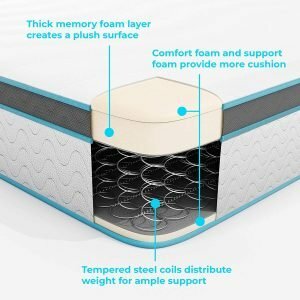 The Zinus Ultima Comfort Memory Foam 10-inch Mattress is made of three supportive layers: 3 inches of memory foam, 2 inches of pressure relieving comfort foam, and 5.5 inches of high-density support foam. The foam contours to the natural shape of your body for amazing support and is made to last. In fact, it’s covered by a 10-year limited warranty. What’s special about this mattress is that this is a new kind of memory foam called BioFoam which uses natural plant-based oils to replace some of the petroleum, which helps keep your mattress fresh and is a bit more environmentally friendly. This mattress has a medium firmness and comes in a range of sizes. 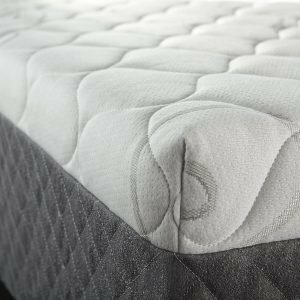 Surrounding all of these layers is a 1-inch thick quilted microfiber soft knit cover that provides a soft, pillow-like sleeping surface. This cover is not removable and effects affect the fire safety of the mattress so it should never be removed. Despite the BioFoam, this mattress can have a strong odor initially. 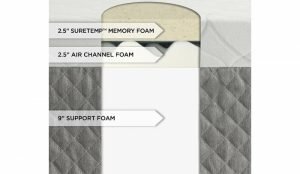 While this is normal for memory foam mattresses, some customers reported that the odor lingered even after allowing it to air out for a few days. 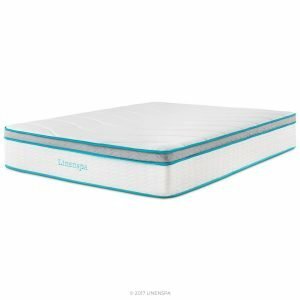 Linenspa 10-Inch Memory Foam and Innerspring Hybrid Mattresses are an affordable choice that gives you the best of both worlds. How? Because this is a hybrid mattress, it combines the interior support of innerspring with the comfort and contour of a thick layer of memory foam on the top. It’s the perfect combination of support and comfort. The top layer is made of 1.5 inches of soft memory foam followed by a 2.5-inch layer of denser comfort foam for support which contour to your body to support pressure points while you sleep. Under that are 6 inches of innerspring and a thin bottom layer of support foam. 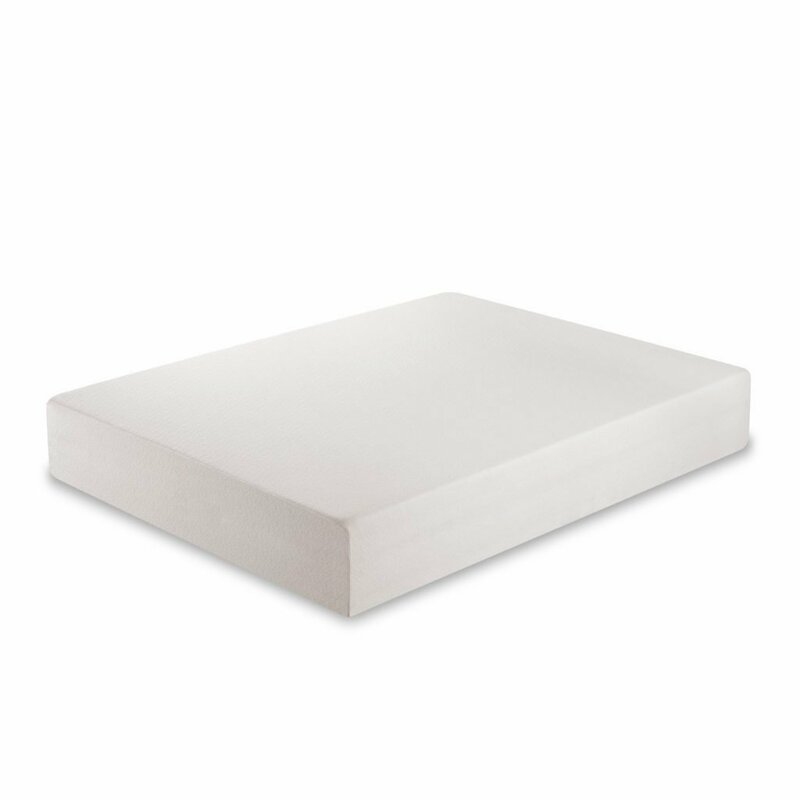 The medium firmness is great for sleepers of all kinds, whether you prefer to lay on your back, side, or belly. It not only works great on a platform bed, but it’s also a good choice for a metal grid, adjustable base, or traditional box spring. Some customers reported that this mattress takes a really long time to decompress once the plastic is removed. While some odor is normal, there were also some reports that this mattress is particularly pungent, but that should wear off over a few days as airs out. 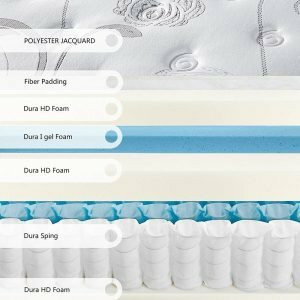 One of the best things about this NECTAR Mattress is the number of layers it has. On the top is a Tencel cooling cover that circulates air, wicks away moisture, and is even resistant to bedbugs. Next is a layer of quilted gel memory foam that adds addition contouring and cooling. The third layer is gel memory foam for support and even weight distribution followed by a layer of high core memory foam for rebound and bounce. Finally, the bottom layer of breathing base foam provides breathable support and a stable foundation. Overall, it provides medium-firm support that satisfies a variety of different sleepers. Nectar mattresses come with a 180-day risk-free trial which means you can try it and return it if you are not 100% happy. They also include two free Nectar pillows for all-around comfort while you sleep. These mattresses are guaranteed as long as you own them which is the longest warranty in the business. Some customers report a strong odor that persisted after a generous airing out period, but a lot of users did not have this problem. Another thing to be aware of is that a lot of people found this mattress to be firmer than expected, even though it’s rated as medium. When it comes to thick, supportive, comfortable mattresses, you can’t go wrong with the Sleep Innovations Alden Mattress. It consists of three different layers. 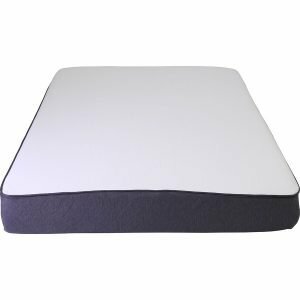 The bottom is a 9-inch thick layer of premium support foam with a 2.5-inch layer of air channel foam next, topped with a 2.5-inch layer of SureTemp memory foam. A tufted cover provides a pillowy-soft feel. With this mattress, you get the proper support, and it maintains the perfect temperature no matter what kind of sleeper you are. That said, this mattress provides the kind of support you need to wake up feeling refreshed. It cushions your pressure points and provides the gentle support and alignment you need to wake up pain-free. It’s especially suited for side sleepers. This mattress is the only product on our list that has medium-soft support and was designed for people who prefer a little more softness rather than just a one-size-fits-all medium density. The base and internal support are firm but the top is nice and soft, giving you the best of both worlds. It’s made in the USA and comes with a 20-year warranty. Some users reported that the mattress is a little too firm at first but it does tend to soften over time and it does not seem to have the issues with lingering odors that a lot of memory foam mattresses do. It’s the science behind the Perfect Cloud UltraPlush Gel-Max Memory Foam Mattress that makes it stand out. This mattress is made up of three different layers of foam. On the top is a layer of air-infused memory foam followed by a 2-inch thick layer of Vicso Gel-Max memory foam that absorbs and dissipates your body heat for a comfortable night’s sleep. Finally, a 6.5-inch layer of base support foam provides a solid, stable foundation. Over everything is a premium knit cover that’s removable and can be tossed in the washing machine when it gets soiled or dirty. This mattress was designed to support people up to 400 pounds and is great for any sleeping position. Perfect Cloud mattresses are also covered by a 10-year warranty. Though most memory foam mattresses have a strong smell, it usually goes away after the mattress has been allowed to air out for a few days but some people did report that it lingered for a bit longer. Also, be aware that this mattress takes a few days to break in. It may seem a little too firm at first but as it warms up and adjusts to your body, it will fit you like a glove. 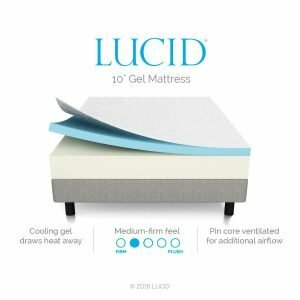 The LUCID 10-inch Gel Memory Foam Mattress is a dual-layer mattress. 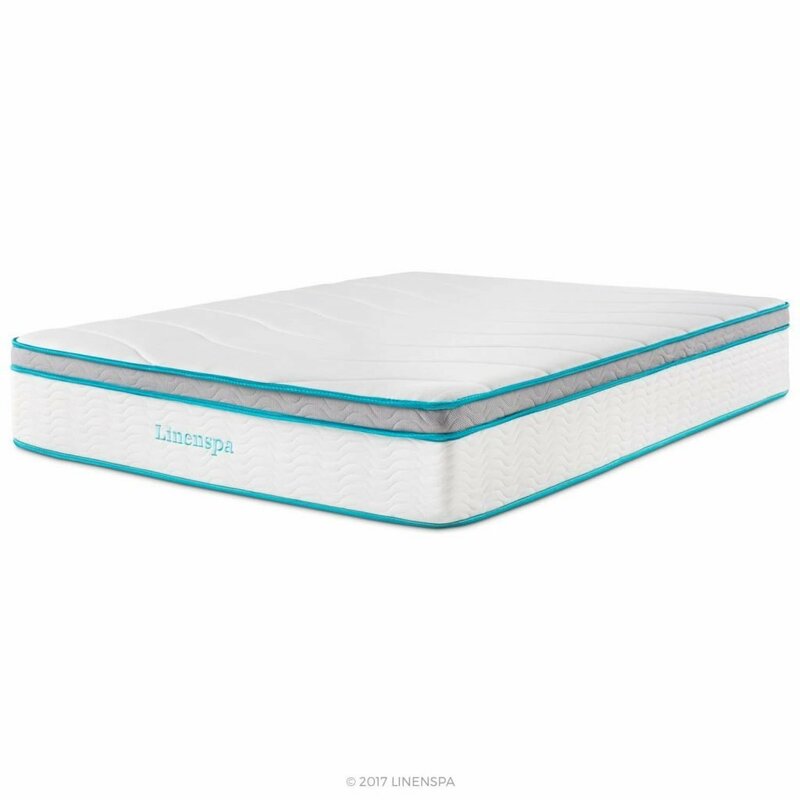 The 7.5-inch high-density foam base provides amazing support while the 2.5-inch gel-infused top layer is ventilated regulate temperature while conforming to your body for a cool, comfortable night’s sleep. There’s also a moisture-wicking Tencel blend fabric cover that creates a comfortable air layer as the sleeping surface. This mattress has a medium firm feel which is a little harder than most memory foam mattresses. 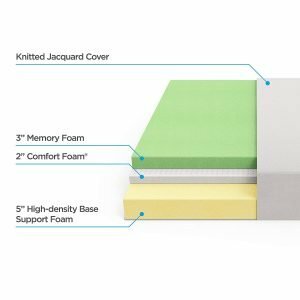 Most people expect more softness and give with a memory foam mattress but a lot of customers were surprised by its firmness. While this isn’t a good thing for anyone looking for something with medium support, this is a great fit for someone who wants the benefits of memory foam with the firm support they need. It’s not easy to come by. All that said, some users have also reported that they have experienced sagging over time but this was not the typical experience. 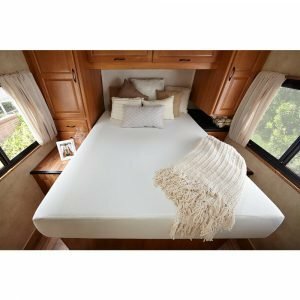 Some customers have also reported that the mattress doesn’t expand fully and ends up little short of the 10-inch thickness. Again, this wasn’t typical but it was reported by several users. 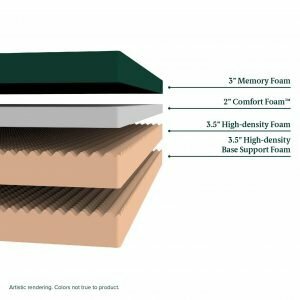 For a really thick, comfortable mattress, take a look at the Zinus Memory Foam 12-inch Green Tea Mattress. This one features four different layers of foam. On top is 3 inches of memory foam followed by 2 inches of supportive comfort foam. Then, there are 2.5 inches of Airflow high-density foam followed by a base layer of high-density support foam. It eliminates pressure points so you sleep better and wake up rested and pain-free. 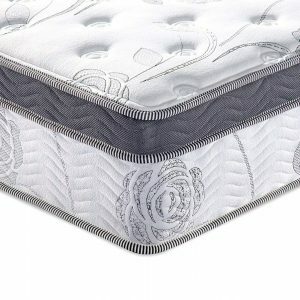 Something unique to this mattress is that it’s infused with natural green tea extract and ActivCharcoal which help absorb odors and moisture so you wake up feeling peaceful and rested and smelling fresh. Cold temperatures can affect the rate at which this mattress expands so it might take a little longer than expected to reach its full height of 12 inches. It can also compress over time depending on use. One downside to this mattress is that it has a strong odor that a lot of customers complained about. While any smell associated with a memory foam mattress usually goes away after airing out, there are reports that the smell lingered for weeks or even months. This wasn’t the experience of most customers but it did seem to happen somewhat regularly. 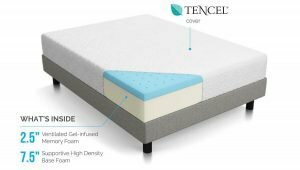 Tuft & Needle Mattress was designed with the idea that more layers don’t necessarily make a better mattress. It’s made of only two layers to improve airflow and support. On the surface is T&N Adaptive Foam which provides a bouncy yet supportive feel. It’s also infused with heat wicking graphite and cooling gel to pull away moisture and help you stay cool while you sleep. 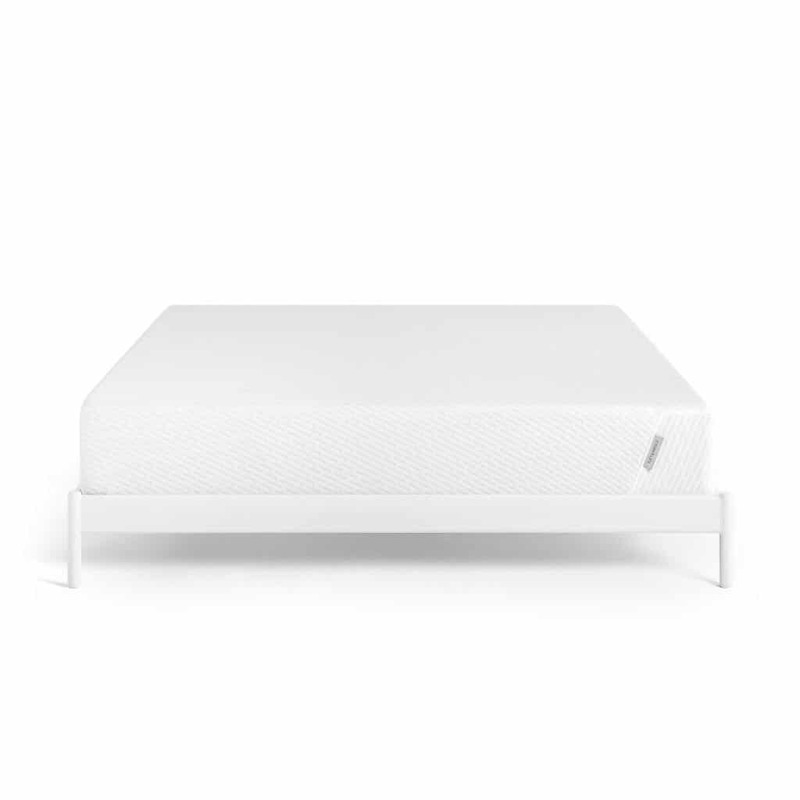 Beneath that is a thick foam support layer to make sure you stay comfortable all night long. Tuft & Needle has a 100-night sleep trial so you can try it out with no risk. If you’re not happy, they’ll issue you a full refund. Plus, the mattress is covered with a 10-year limited warranty. 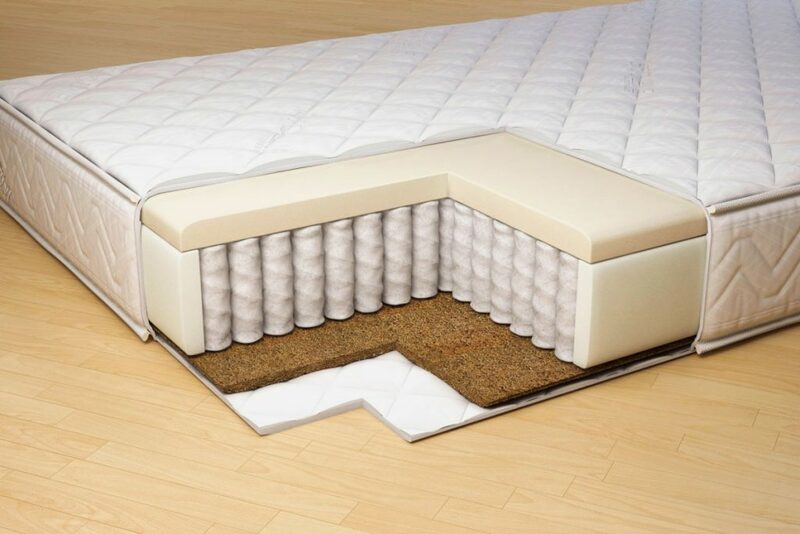 The mattress takes about 72-hours to fully expand. There are reports from some customers that the mattress sags a bit over time, and others have stated that they developed back pain after a few months of use, though some admit there are no visible deformities in the mattress. While any odors should also disappear during this time, some customers reported that it lingered for a bit though there were fewer issues than with some other mattresses. 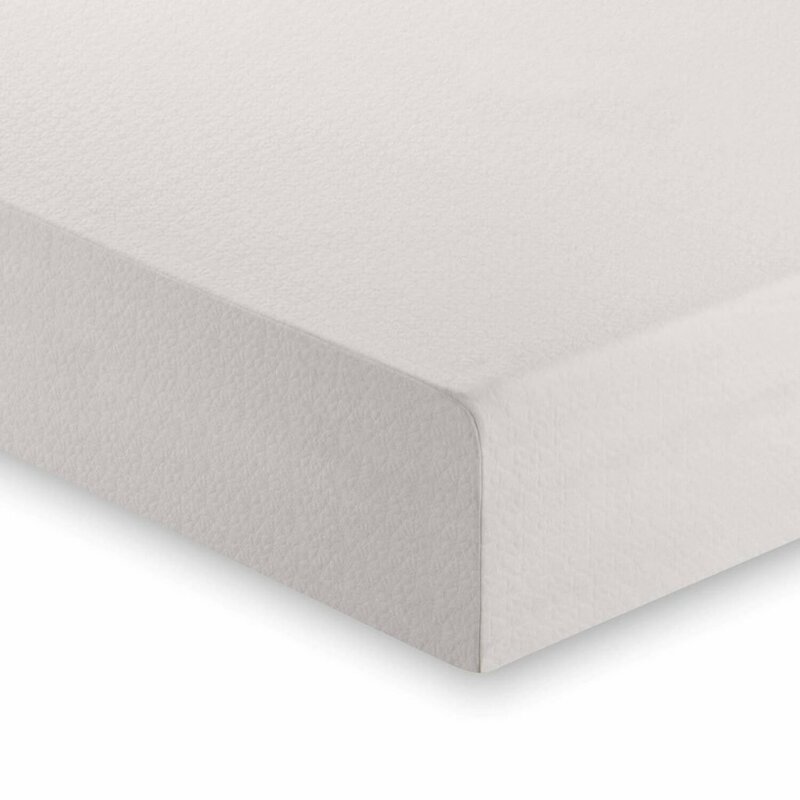 The Casper Sleep Mattress is a perfect combination of foam layers. There are four layers in all. A thick bottom base layer provides dense support. On top of that is a transitional foam layer that helps distribute weight followed by a memory foam layer for pressure relief. 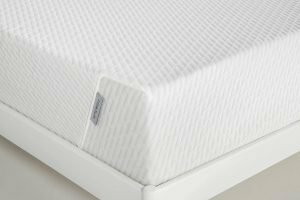 The top layer is made of open-cell, hypoallergenic foam that allows air to flow through and regulates your temperature overnight. It also features a zip-off cover that’s easy to clean. 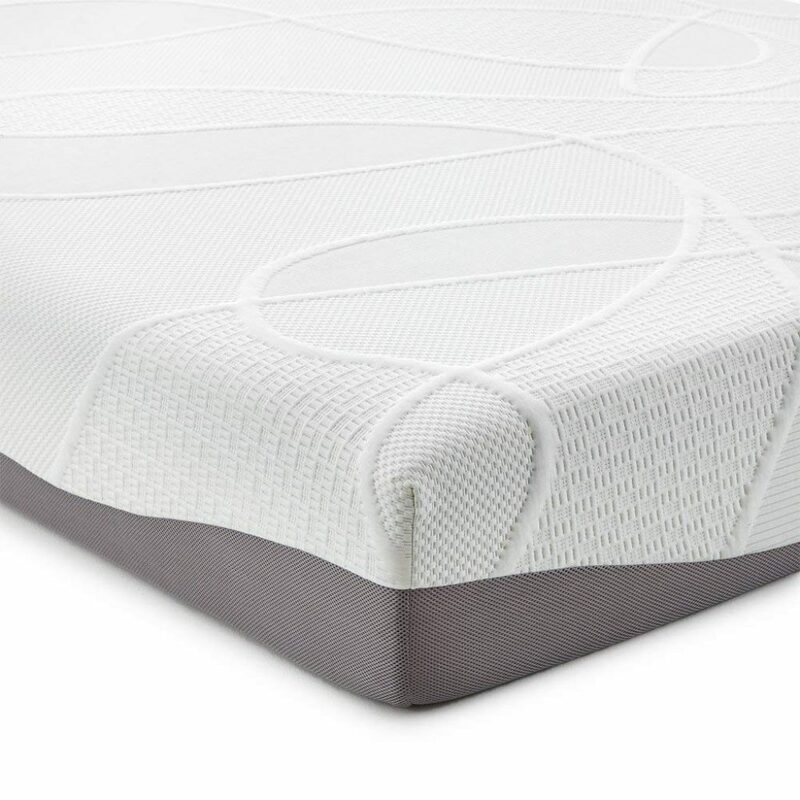 This mattress provides the right amount of bounce and support for a comfortable night’s sleep. They offer a 100-night no-risk trial and a 10-year limited warranty. The chemical smell usually goes away after the mattress airs out for a few days though some customers did comment that it seemed to linger a little longer than it should. Some people have also complained that the corners and edges aren’t as supportive as the should be. Sometimes they don’t completely decompress while other times they seem to collapse. Another downside is that customers seem to have inconsistent experiences with support. Some people report that the mattress is too hard while others claim it’s too soft. There’s no way to tell if this is really an issue or just a difference of opinion. Therefore, a 100-night sleep trial comes in really handy. 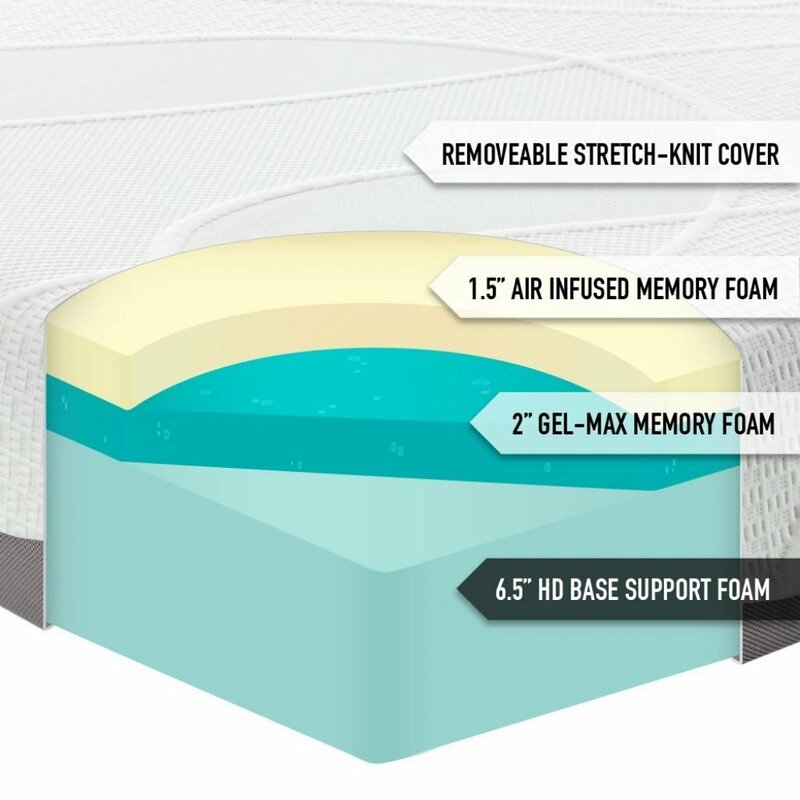 The Olee Sleep 13-Inch Galaxy Hybrid Mattress is super thick and made up of five different layers. The base is a layer of Dura Springs sandwiched between two layers of Dura Foam. On top of that is a layer of gel foam then more Dura Foam and finally fiber padding and a polyester jacquard fabric cover for a pillow-like surface. These layers combine to make a mattress that’s soft, supportive, and easing pressure points while also regulating temperature. 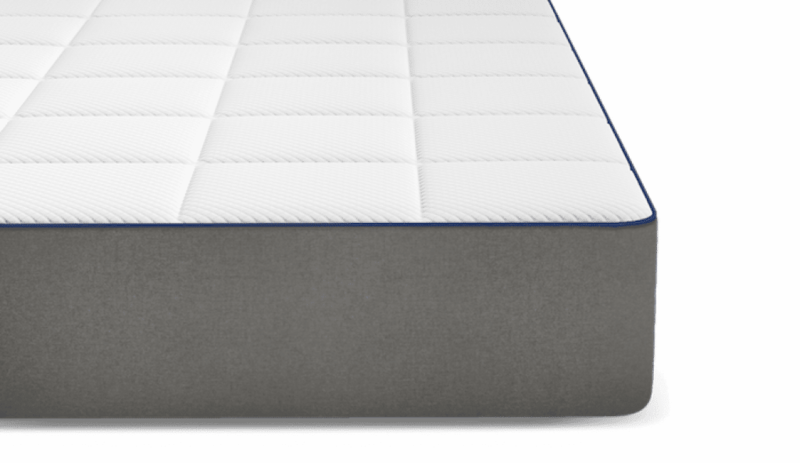 What stands out the most about this mattress is the Dura Springs. They’re independently encased steel coils that conform to your body and distribute weight to relieve pressure while your sleep. They also help eliminate motion disturbance so your partner’s movements won’t wake you through the night. Some people report that this mattress does not fully decompress and can exhibit various lumps and creases. Customers have also reported that the mattress gets a little too hot. 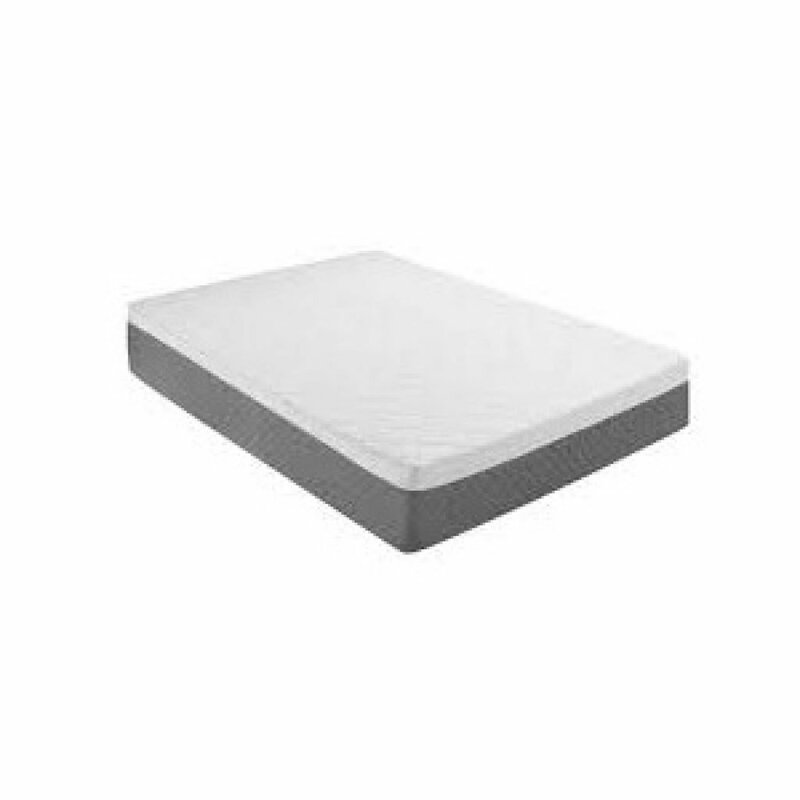 This is a firm mattress but note that it can soften over time. Some customers have also complained about sagging. Odors were also reported but, for the most part, faded over time. You spend about a third of your life in bed, and making sure you get a good night’s sleep is the best thing you can do to get ready for tomorrow. So, having the right mattress is essential. If you have a platform bed, here are some things to think about when trying to find the right mattress. A platform bed is a bed that usually has a simple rectangular frame with either wooden slats or some kind of latticed metal to support a mattress. 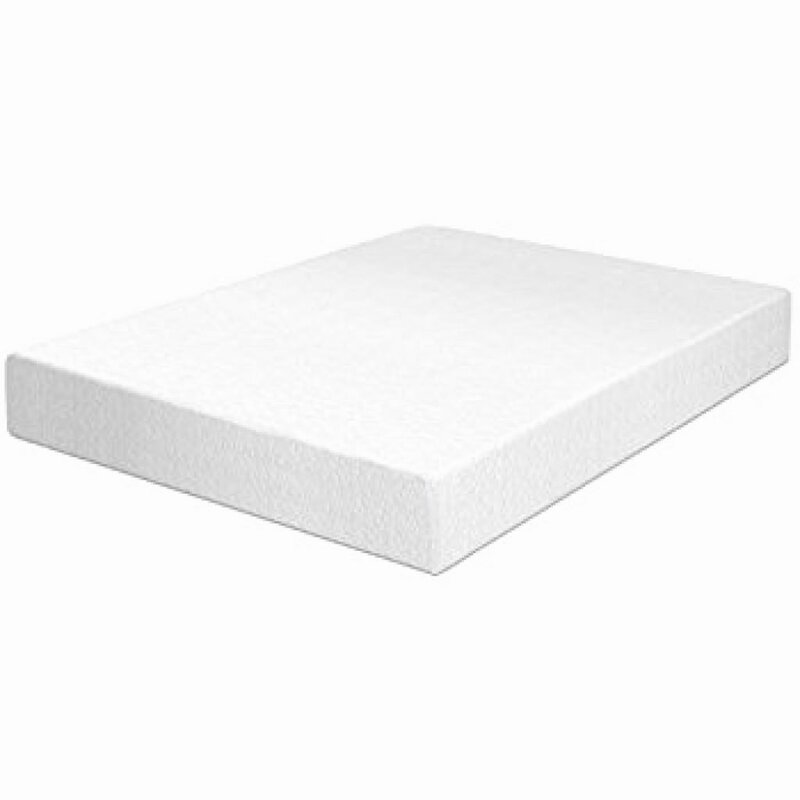 They provide enough support and ventilation that a box spring or separate foundation is not needed. 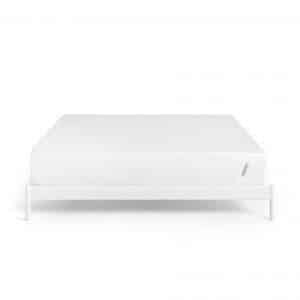 What kind of mattresses work well on a platform bed? Really, any kind of mattress works well on a platform bed but you have to consider the boxspring. While technically you can use a box spring on a platform bed, they’re not really designed for one. The mattress height might be off a bit because platform beds aren’t designed the same way as a regular bed frame. If you just got a platform bed and were planning to use your current mattress, it’s important to check the warranty if you’re planning not to use a box spring because not using one can void some warranties. If you’re looking for a new mattress, don’t worry. There are plenty of comfortable, affordable options out there that don’t require a box spring and will look great on your new bed. There are three different kinds of mattresses in our reviews. Foam mattresses are composed of layers of different kinds of foam stacked on top of one another. There’s usually a soft, contouring layer on the top followed by a more supportive layer and then a thick base layer. Some brands use as many as five layers or more while other keep it simple with only two or three. 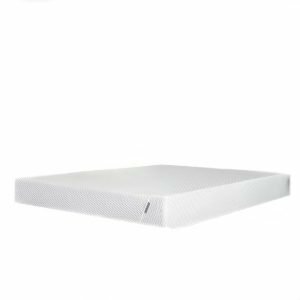 Memory foam mattresses are great for platform beds because, in addition to being super comfortable, they don’t require a box spring and are the right weight. 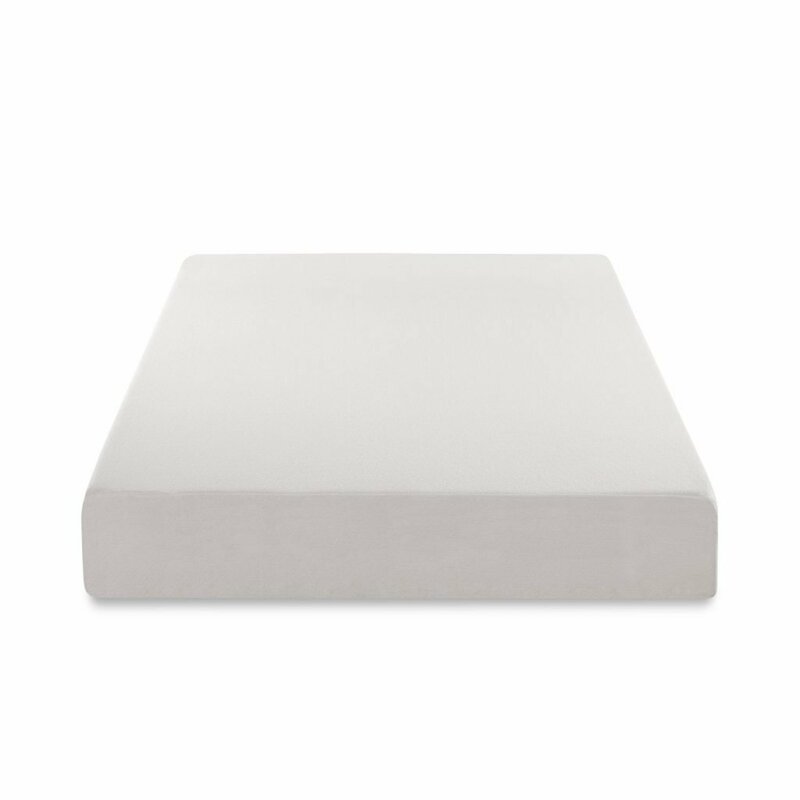 Pure latex mattresses are not a good choice for a platform bed simply because they’re too heavy. That said, there are some foam mattresses that incorporate a layer of latex to give you with the best of both worlds. 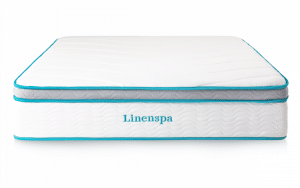 Finally, we included a few hybrid mattresses, too, like the Linenspa Hybrid Mattresses. Hybrid mattresses are a combination of a memory foam mattress and a standard innerspring mattress. 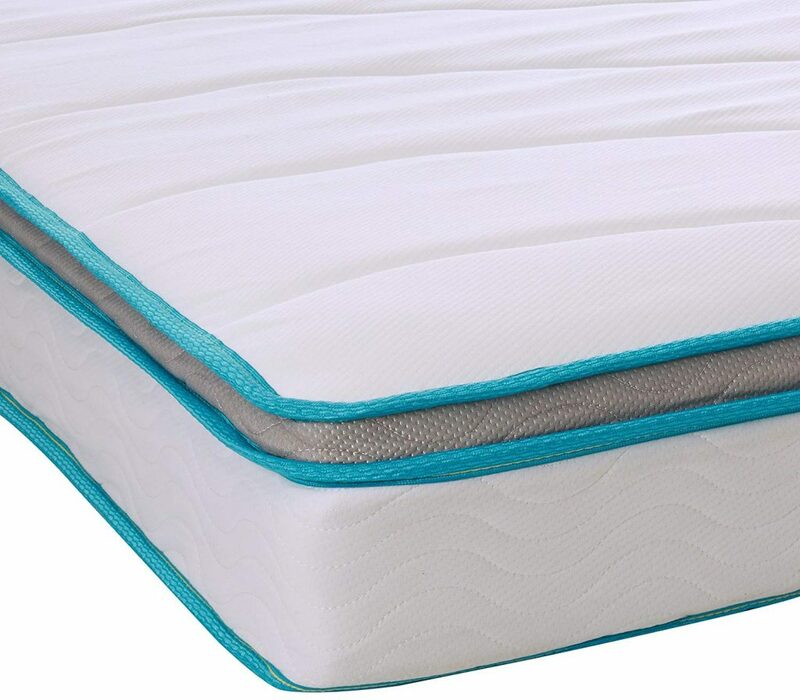 The springs are often in individually wrapped coils and serve as the base of the mattress with memory foam layers on top. The thicknesses of these mattresses vary a lot. The products we chose for our review range from 10 to 14 inches. Platform beds sit a little lower to the ground so you might want to choose a mattress that’s a little thicker. 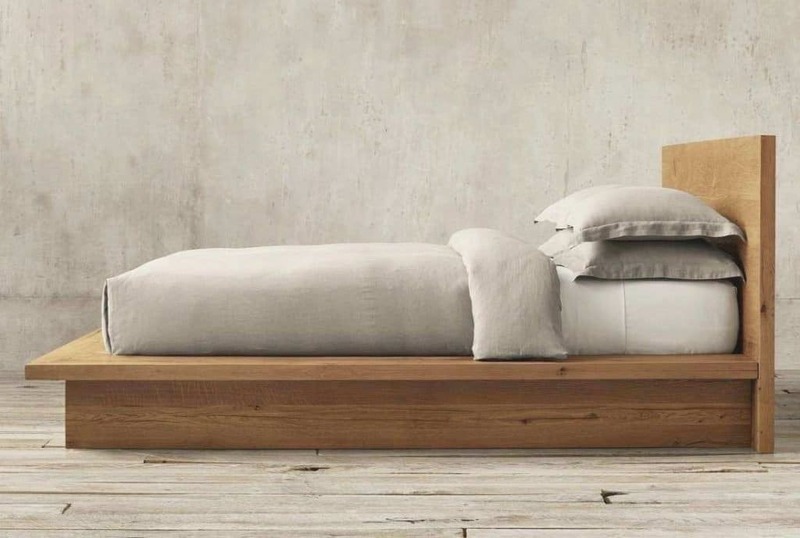 That said, part of the unique style of a platform bed is its low design so if you prefer a short mattress, that’s fine, too. Some of these mattresses excel at temperature regulation. Foam is dense and absorbs heat so getting a mattress that can help dissipate it is one way to make sure you get a good night’s sleep. When considering the products in our review, there are 2 ways that temperature regulation is done. The first is with a cooling gel infusion which absorbs the heat and spreads it throughout the material like the Perfect Cloud UltraPlush Gel-Max Memory Foam Mattress. The second is using air infused memory foam on the top layers. This causes air holes and channels to open up so that heat is absorbed and so the air in the room can circulate through, taking the hot air with it. 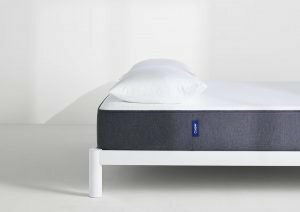 The Sleep Innovations Alden Mattress is a good example. Getting a mattress made of high-quality materials, like the Zinus Ultima Comfort, is important for so many reasons. First and foremost, it affects the comfort of your bed, the quality of your sleep, and ultimately your health. Buying from a trusted company that uses non-toxic ingredients is very important. Think about it. You’re going to be spending about 8 hours a night in contact with the mattress and breathing whatever is in the material. It’s important to make sure it’s 100% safe. The quality of the materials also affects support and comfort. Most mattresses are comfortable when you first lay down but it’s how you feel after a full night’s sleep that matters. A good mattress made of quality materials will support your pressure points all night long so you don’t wake up with any pain. Durability is important, too, since most people keep their mattresses for a long time. The better the material, the less likely the mattress is to sag or crease over time. Trying out a mattress before you buy it is a great way to know that you’re making the right decision, especially when buying online. Even if you do go a mattress store and get a chance to sit on it, you can never be sure how you’re going to feel after sleeping on it for a night, a week, a month. It’s important and a home trial is the best way to figure out if you made the right choice. Warranties are important, too. As we said, most people keep their mattresses for a long time. Any brand that provides a long warranty is showing you that they stand behind their product. For example, the NECTAR Mattress is covered with a lifetime warranty. The first thing that you should do when you receive your mattress is to give it between 24 and 72 hours to expand. This takes a little longer in colder temperatures and varies a bit from brand to brand. After your mattress has reached its full size, make sure the foundation slats of your platform bed are intact and evenly spaced. This will help with wear to prevent sagging. If your mattress comes with a removable cover, it’s okay to remove it regularly to toss it in the washing machine, however, a lot of these mattresses don’t have this. If yours does not, it’s a good idea to get a separate removable cover to protect the mattress from stains and moisture. Foam mattresses should not get wet beyond occasional surface cleaning. They virtually never dry. Rotate your mattress occasionally. While older mattresses had to be completely flipped to distribute wear, newer designs like the ones reviewed are one-sided and should not be flipped. Do I need to look for some special mattress if I have a platform bed with slats? No, any mattress will work on a platform bed but some are better than other. Do I need a box spring for a platform bed? No, in fact, some designs might not be able to support one. Platform beds include slats to support a mattress so a box spring is not needed. 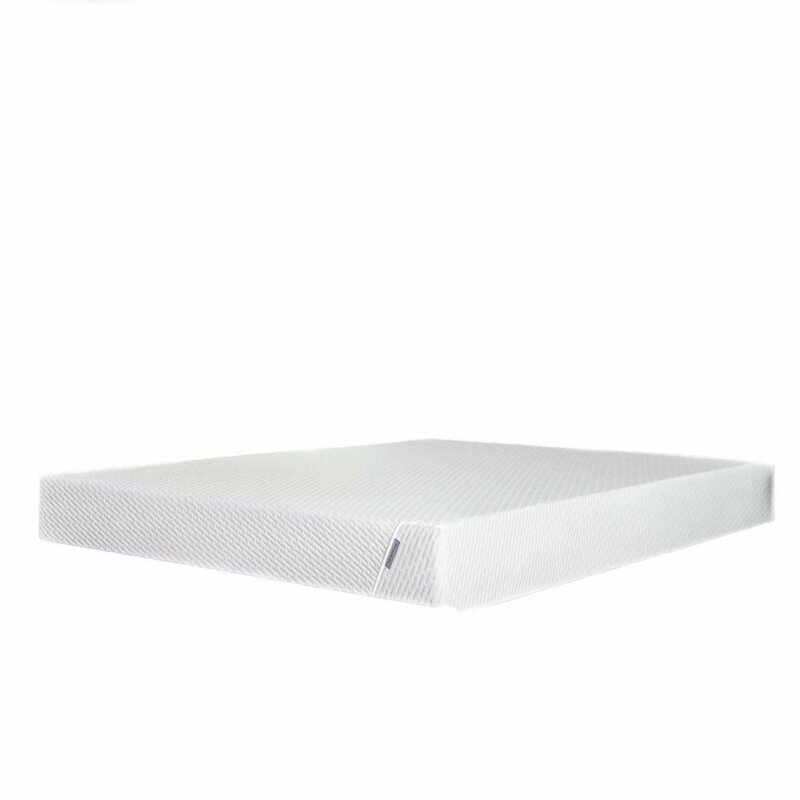 Do I need a mattress protector for my mattress to protect it from bed bugs if it’s placed on a platform bed? Not necessarily. The truth is that bedbugs are really small and can often get through mattress covers through a cover can certainly prevent them from feeding on you at night. Regardless, a mattress cover is a good idea to protect your mattress from any dirt or mess anyway. 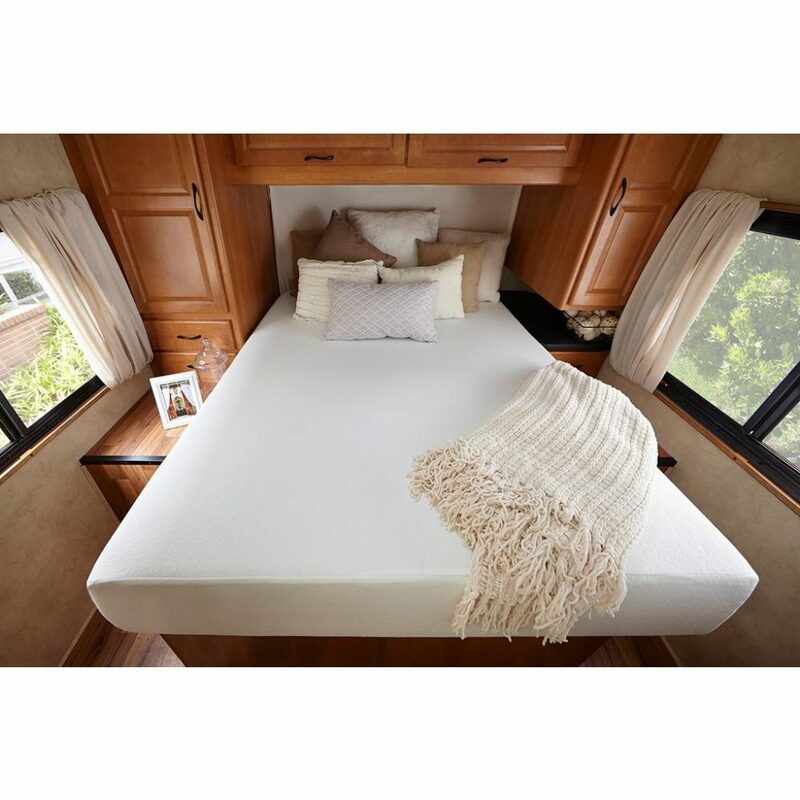 Our top pick for the best mattress for a platform bed is the Zinus Ultima Comfort Memory Foam 10-inch Mattress. With three supportive layers of BioFoam and a thick quilted cover, this mattress is comfortable and more environmentally friendly. Also, based on hundreds of reviews, we feel that this mattress will be great for most people. Our next pick is Linenspa 10-inch Memory Foam and Innerspring Hybrid Mattresses. 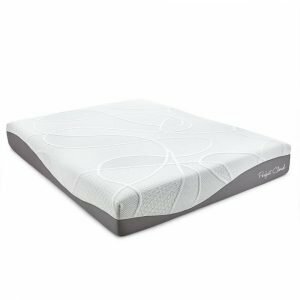 This is a good choice if you’re on a budget and, since it’s a hybrid, it gives you the support of innerspring with the comfort and contour of memory foam. Plus, it has a 180-day in home trial. Finally, we also recommend the Nectar Mattress. 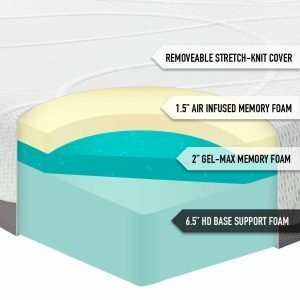 In addition to the lifetime warranty, this mattress features cooling gel infusions as well as a bed bug proof outer cover. Plus, they include two comfortable pillows so that you can get the best night’s sleep possible.